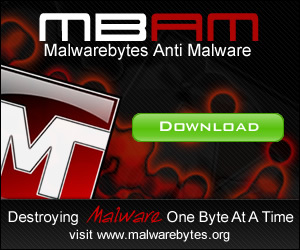 There are many reasons to upgrade to the full version of Malwarebytes Anti-Malware; if you’re an existing user of the free edition of Malwarebytes you will certainly know the full range of capabilities the powerful anti-malware engine that Malwarebytes offers – it’s one of the most efficient ways of removing dangerous threats and malware from your computer securely and most of all, it can effectively terminate any malicious files from your computer while they are running, making some even say it’s more effective than anti-viruses due to its large database and smart detection and removal algorithms. Realtime Protection – Get 24×7 protection from the extremely powerful detection engine that Malwarebytes has; with Realtime protection it scans all items as you work on your computer ensuring that if you download a virus it will detect it and give you an option to remove it on the fly; the standard version does not have this feature (More reason to upgrade to PRO using our Malwarebytes Coupon) and because of that you would have to initiate a manual scan of all your computer to find the virus, and likely do so when damage has already been done. Flash Scanning – With Flash Scanning you can almost instantly scan your computer and find malware as it will scan active memory and processes to find malware that is currently running and affecting your system; this can be very efficient at finding out and telling you if you have a virus on your computer without having to do a full and complete scan, it’s also useful for knocking out the viruses before you do a full and complete scan. Scheduled Updating – Make Malwarebytes automatically update with ease to make sure you’ve always got the most up to date database version; this is a great feature for companies who have large networks but limit the administrator rights of users on their computers. Having a scheduled update policy makes it easy to maintain all systems without user intervention and insure that the latest version of the detection engine and signature database is working on your client computers. Scheduled Scanning – Make the best of your time and if you run a business ensure your company’s computers are secure and free from viruses by using the scheduled scanning feature; you can set Malwarebytes to scan your hard disks after-hours for example so when your employees have gone home you can have your computers run the scan and remove any threats automatically. LIFETIME LICENSE – Unlike anti-virus software that charge you an annual fee, Malwarebytes is a completely one off license fee (Up to 25 computers) – this means you get free support and updates for life, the kind that other competitors can offer you from as little as 15USD per license /year. This compelling list of reasons to update to a full Malwarebytes license would not be complete with the best incentive – we have a page dedicated to Malwarebytes coupon codes, where both staff and readers are contributing 15%, 20% and even 50% off coupon codes to offer you even more arguments to invest in this excellent piece of software. Halloween may be over for another year, but that doesn’t mean that zombies aren’t still undead and well, and coming after your brains. Before you start revving up the chainsaw and boarding the windows, perhaps I should take a moment to explain. The only thing that is in danger of being turned into a zombie is your PC, and it’s actually something that happens more often than you believe. I’m sure that your e-mail inbox is probably filled each and every day with spam message, but how many times have you thought about where they all come from? The surprising answer is that many of them may come from your friends or relatives, and your little computer might just be responsible for sending spam ads for Viagra all over the world on a daily basis. If that is the case, then your PC has become a minion of the computer undead. If your computer is not up to date with antivirus, firewall or malware destroying software, then you are at risk of having your PC hijacked and turned into a zombie. Hackers then control huge networks of the infected computers, which are known as botnets, and then use that network to blast out ad after ad, with no way of them ever being caught. Keeping all your protective software up to date is the equivalent of bashing in the skull of the zombie with a cricket bat, a la Shaun Of The Dead. To raise awareness of this zombie issue, tech security company Sophos declared October 31st to be International Kill A Zombie Day, and they requested that all computer users take the time to either install, or make sure that their security software is up to date. Only time will tell if the call for zombie fighters had an effect on the botnet crowd, and we won’t really know until we see if the amount of mail in our spam folders has decreased significantly or not. A big part of the issue is that the same people, who invest hundreds of dollars in alarm systems for their homes and car, fail to download a free piece of malware or antivirus software that would keep all the personal info on their PC out of the reach of potential cyberthieves. All you have to do is Google free malware software, and you will be directed to a whole bunch of free option, with Malwarebytes probably considered the best of the bunch. Alternatively you can choose to step up your game and go for the full product, but fear not parting with your hard earned cash, as we have the best Malwarebytes coupon codes in Google. We all rely on our computers now more than ever, and we really have to take the time to make sure that our beloved cyber-pet doesn’t fall foul to outside attacks; protect your PC and it will protect you. Many people start in affiliate marketing without a clear purpose in mind. Are they going to turn this into a permanent source of revenue? Use it as a pretext to learn something new, maybe develop in an Internet Marketing role? Or simply because some other marketeer persuades them with fantasy descriptions of money flowing with little work or even no work at all (personally I cannot hear the phrase auto-pilot anymore without linking it instantly to the notion of online scam). I for one started on the scene once my initial business (data carrier) grew organically to a level where an affiliate program was required as an additional source of qualified leads. Once you learn the hard way (or should I say the expensive way) how the affiliate model works (and I call out here the pure blackhat techniques, the permanent watch for fraudulent transactions, the sharky networks, to name only a few), you soon start to see the exploitable gaps in the model. This does not mean, by any chance, that you learn how to turn the affiliate business into your non-stop, automated money-printing machine; instead, you can predict with higher accuracy the real costs of running a campaign, the likeliness of an affiliate manager to steal your ideas or commissions, and even your chances of taking on a more serious share of business by upgrading to a partner or official distributor status with the programs you are promoting successfully. With this, I am getting to the meaning of the title chosen for this article. As far as I am concerned, as an affiliate you have two choices, depending on your success – you can grow, with painful and steady work, to become successful in selling a program like Amazon, eBay or Dell (to name only of few of the large ones) or you can do this until you manage to forge a niche and/or a product for yourself and get promoted to the top of the food chain – design/create/supply your own product. And I am not talking here about running yet another store on eBay or Amazon, or reviewing Dell’s laptops from the product feeds, but actually selling your own ebook, software, data mining or online streaming service – you get the picture. For those who are only starting, getting the information they need in a single place is difficult and prone to using obsolete resources. If you are just joining the affiliate jungle, you might need an easy start – and for those looking to promote Dell’s products, I offer an unique source to feed on the latest Dell coupon codes, promotions and discount tricks. It is not an affiliate resource per se yet, but more an example of how this business should be started and conducted at the very early stages. I will not sell training and coaching like others do, but I am more than willing to answer your questions, show you how it’s done and explain the intricate reasoning behind the many choices and features you will see on the website. It is also living proof of approaching one of the most saturated niches (Dell coupon codes have been on the Internet for over a decade now) and carving a slice of the traffic and revenues with a new website, but a toolbox of tried and tested methods and techniques. I hope you will enjoy it and I am looking forward to your questions (use the Contact form on the website or the comments to draw my attention). Until then, good luck with your online enterprises and all the best to you all!